HTC have a flagship they want to keep you interested in. Easier said than done. Six months after the launch of the original, the HTC Sensation XE is raising the bar. But HTC are trying to keep a fine balance. They wouldn't want to push the envelope and make the original Sensation obsolete. The bar shouldn't be set too high either before the next flagship is due. As far as we can tell, they nailed it. 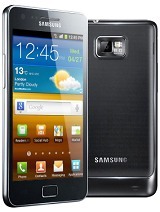 They had a 4.3" qHD-screened dual-core-powered super droid to work with and these are not easy specs to top. Yet, the Sensation XE received a bigger battery and a faster processor. We find the new model more attractive than the original too. It's the improved sonic experience though that makes much more difference than the clock speed and battery backup. This is not a mere boost to functionality - it gives the whole package purpose, a way to connect with its specific target audience. Beats Audio may be just a software tweak but it might turn out the right thing for HTC in their bid to up their multimedia game. The 16GB of extra storage on a complimentary microSD card and the premium set of headphones are no gimmick though. We wouldn't say no to the right accessories - especially when they fetch a handsome price if you have to buy them separately. It's been six months since the launch of the original HTC Sensation. We guess it's still pretty high on people's wish lists. HTC's top droids enjoying good demand shouldn't be a surprise. The way we see it, users can choose between the older flagship for slightly less and a well-accessorized new model, which doesn't cost more than the original at launch. And by the way, it shouldn't be too hard for HTC to handle two droid flagships either. it's what the competition's been doing too. Sony Ericsson just gave their Xperia Arc a speed boost in the shape of the Arc S. Over at Samsung, it's the Galaxy S and the Galaxy S Plus. There are more likely rivals than that though. Most major manufacturers have at least one heavyweight contender to challenge HTC in the dual-core league. 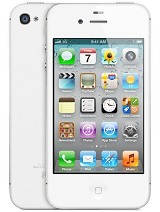 The likes of Samsung Galaxy S II, LG Optimus 3D, and even Apple's iPhone 4S will not let the Sensation get away without a fight. While screen size and raw power have never been an issue for HTC, they seem to lack the reputation of Samsung and Apple when it comes to multimedia and entertainment. That's another important aspect of the Sensation XE - it's in charge of a lineup that wants to change that. It's still just a pair of phones but a pair that needs to be taken seriously. 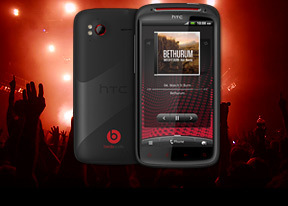 The other BeatsAudio branded handset is the Sensation XL, which is said to come with even deeper Beats integration. Extending the audio enhancements to games and movies as well, HTC is addressing the overall sonic experience and not just the music player. And guess who recently acquired a majority stake in Beats electronics. Yes, you guessed it right. It's HTC and it won't be long perhaps before we start seeing more BeatsAudio branded phones. What better way to promote a new feature than putting it on your current flagship? Yes, the Sensation XE does well to create a stir at the Android top and put HTC back on the radar of power users. If you recently bought a Sensation, the XE may not be worth it, but we will understand a tinge of regret.